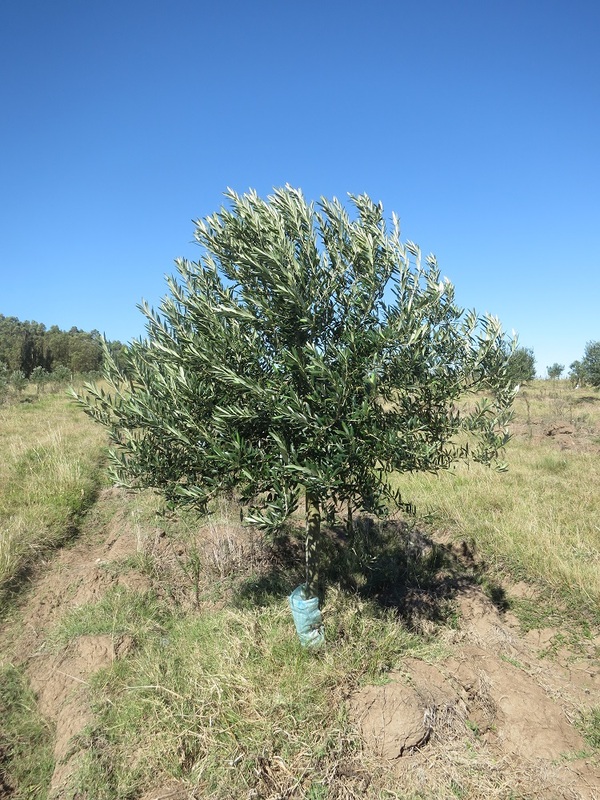 We are the crazy people who not only have a variety of livestock that needs daily care, but we also have about 20 hectares of olives that we also tend and worry about. Last year we had not planned on harvesting and it took us by surprise. This year we knew and thought we had it under control. You’ve all heard that before, right? Then we began the harvest in earnest. 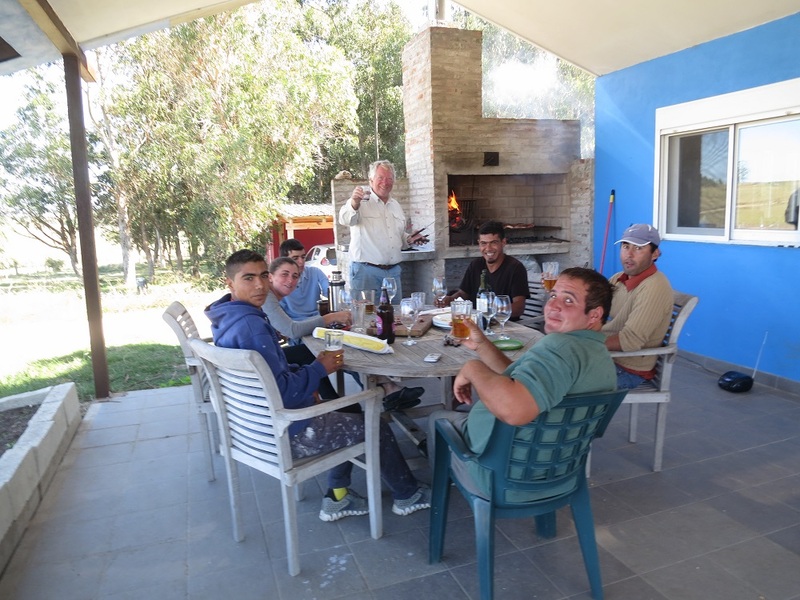 Our three guys with three more and Jon spent nine days picking olives off the five thousand trees in the hot sun. We have 3800 kilos at the processing plant, which will turn into approximately 600 liters of oil. 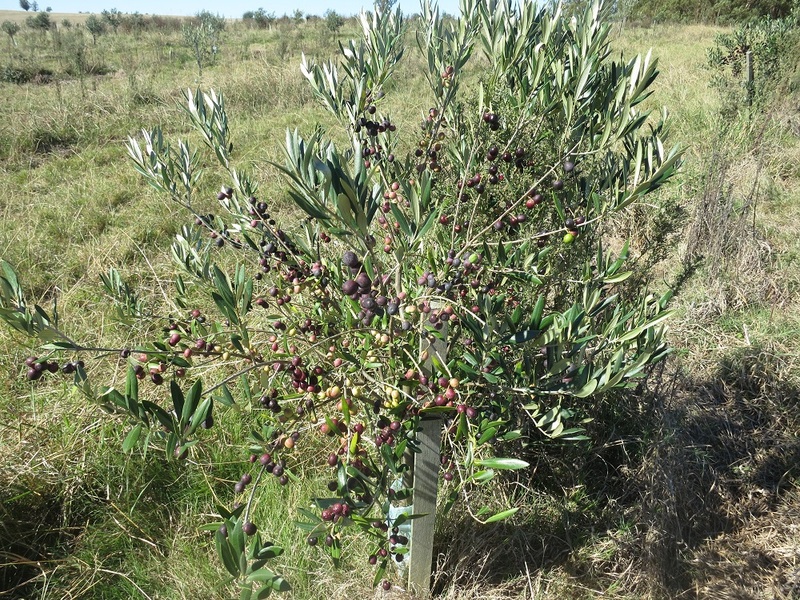 To see the processing plant you can visit last years pictures: olives to olive oil. Megan drove several loads of olive crates to the processing plant in Minas, a three hour one-way drive pulling a trailer behind the pick-up truck. 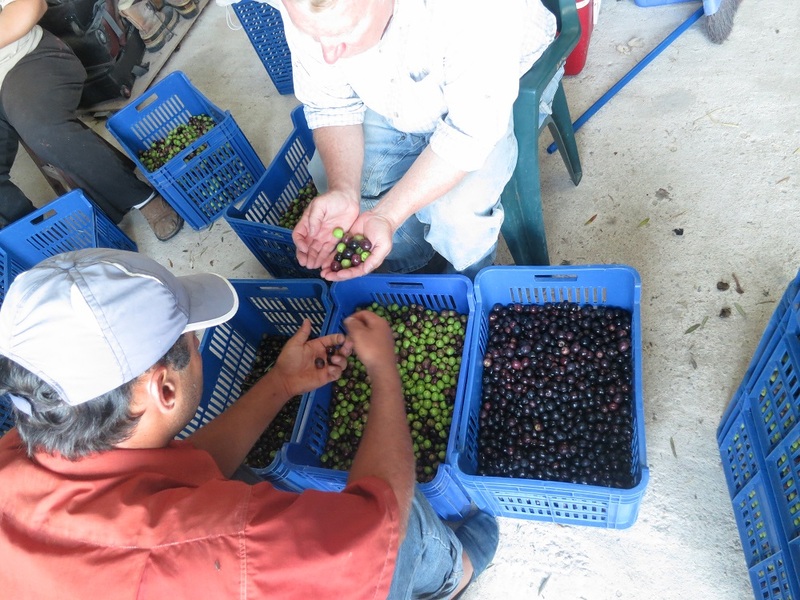 The olives have to be processed within 48 hours of being picked. The team made about 40 crates every two days. They were working hard. I did not make it back to the trees to take pictures until the end. So use your imagination here. 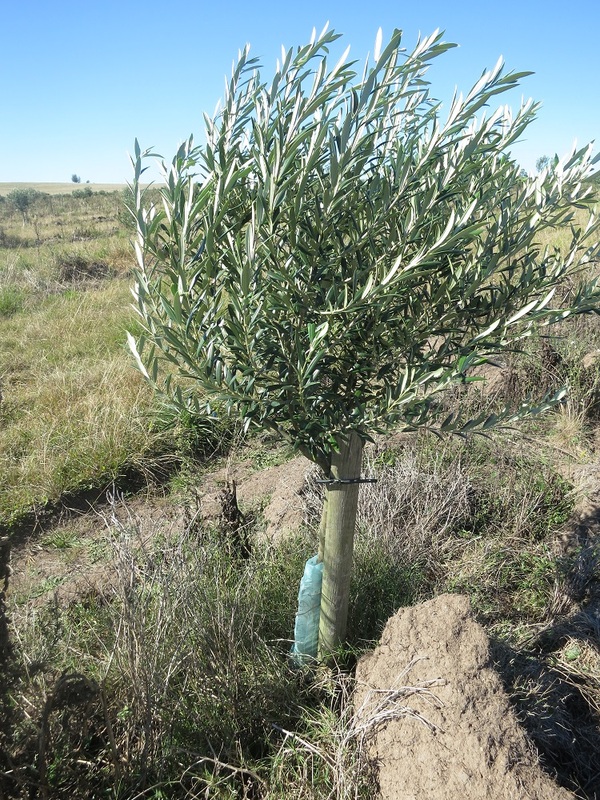 Tthese are two trees on the small and thin side with olives hanging on their branches. Here are some pictures of our trees in general. I would like them to be all the same size, uniformed. No, they grow their way. 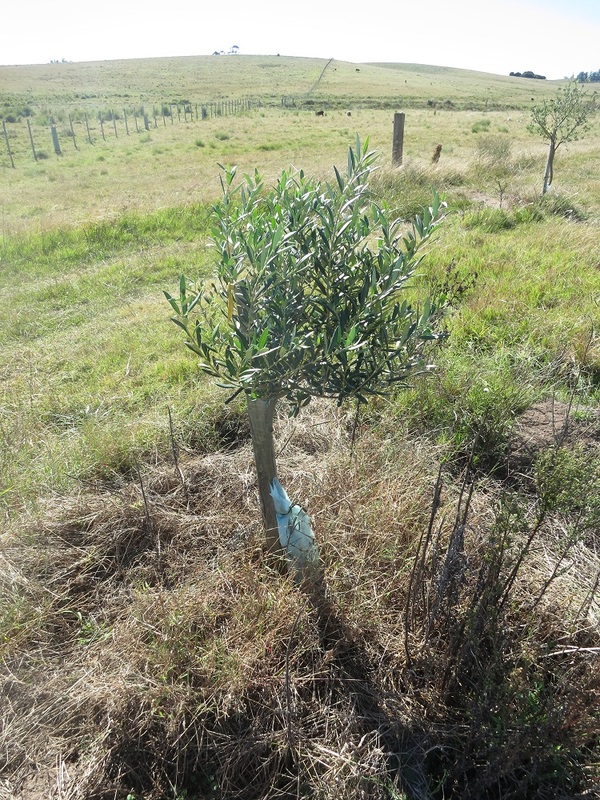 Now think of them full of olives, and each tree has to be plucked by hand into a bucket and them poured into a crate and put in the back of the pickup. It was slow work, but the team did a great job. 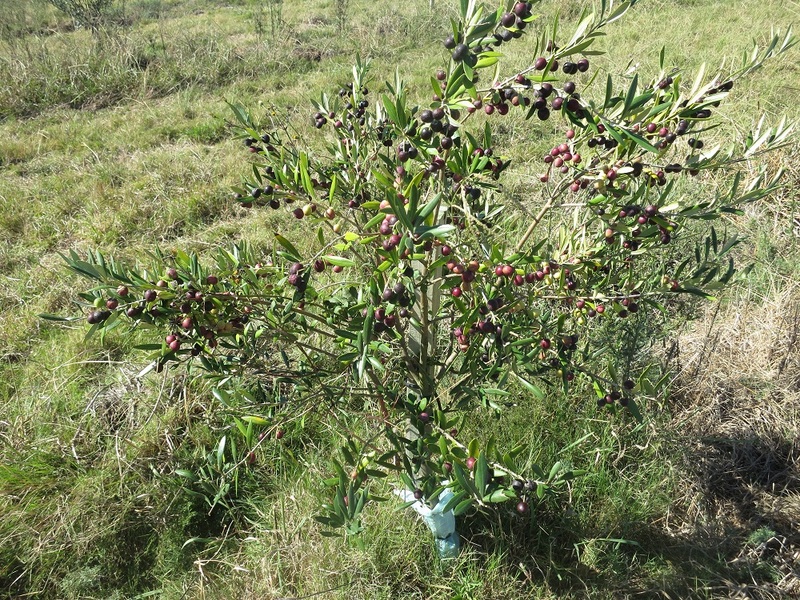 We all were impressed by the volume of olives and by the percentage of oil we were able to get. Our technical advisor thought we’d produce about 3000 kilos this year. It was unexpected, and nice, to beat expectation! We were told that because it has been such a dry season, the moisture content is mostly oil. Normally it is 11% oil, but we averaged 18% oil! Yeah for us. Yeah, good deal this year. Margo, I really love reading your blog and living vicariously through your hard work and enthusiasm. Thanks Lynn, but your retirement plan sounds real nice to me.